Im back to share another card with you. I know I am totally on a roll today, its beautiful out and the sun is shining and its really putting a smile on my face. I love how accomplished I'm feeling sharing all of these cards with you. 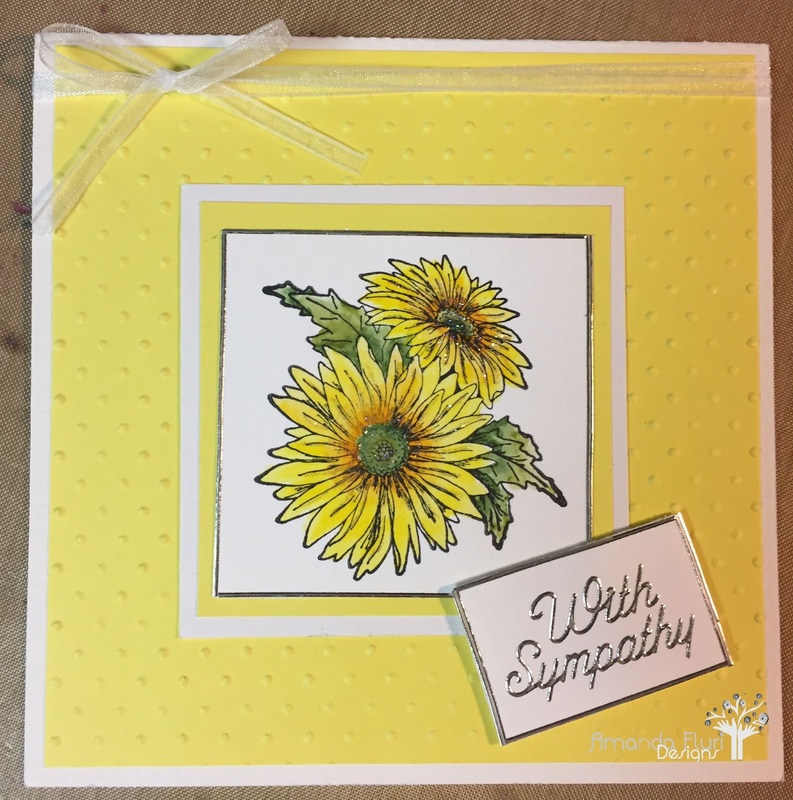 I sense a theme here...make cards from things in your scrap box and create something beautiful out of things that may have never been a consideration for these cards. I am so happy about how things turned out. Simple and Classy, perfect for a sympathy card. Its also been quite a while since I created a square card, so I thought that I would change things up for this one. 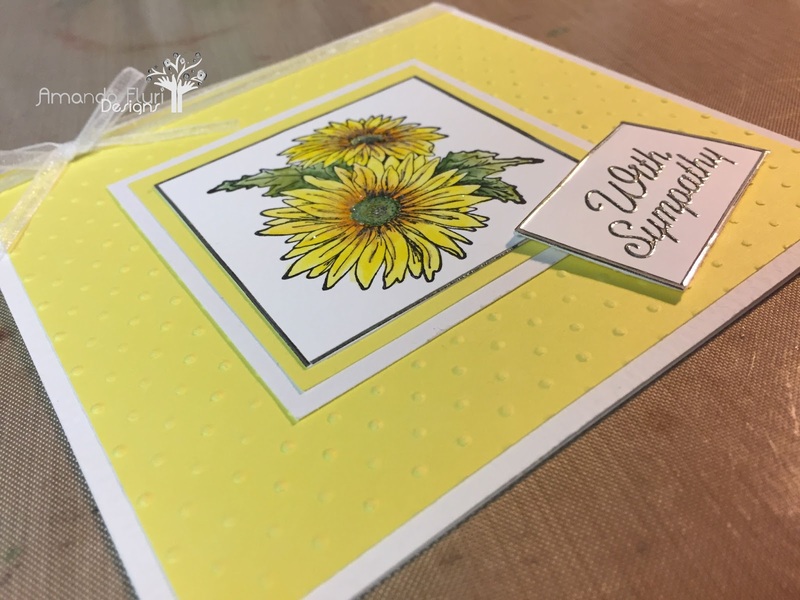 White Cardstock - used for the card base and the background for the flower and the sentiment. Thanks again for stopping by to visit. Please leave me some comments love for me below!